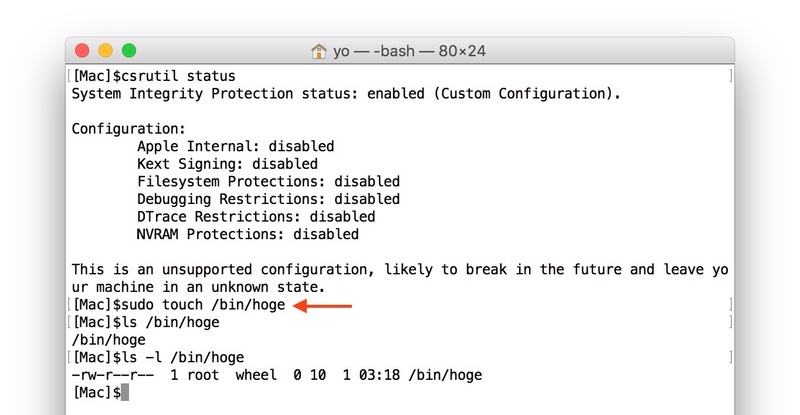 OS X 10.11 El Capitanのシステム保護機能「Rootless」を無効にするcsrutilコマンドの使い方。 | AAPL Ch. Successfully disabled System Integrity Protection. Plsase restart the machine for the changes to take effect.